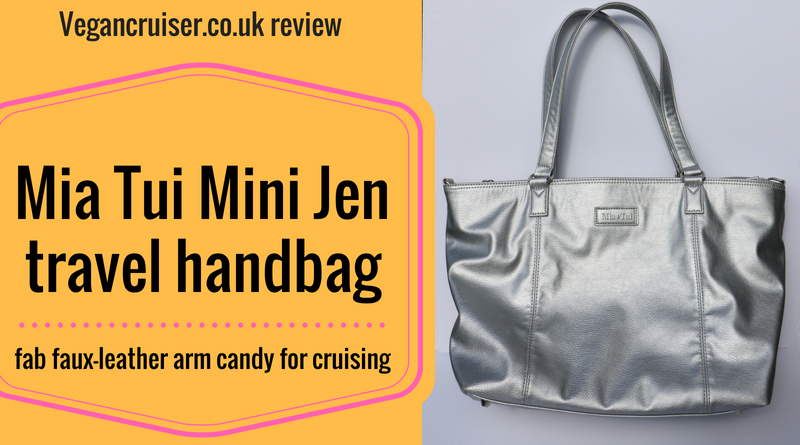 Miatui Mini Jen travel handbag – fab faux-leather arm candy for cruising! 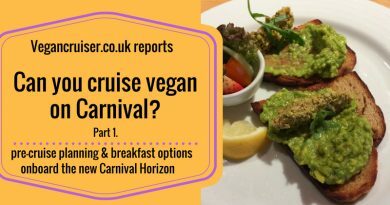 Last month my friend and I were onboard the brand new Carnival Horizon on the Mediterranean before she headed to her US home port. We flew to Barcelona the night before departure, stayed in a small boutique hotel and made it to the port fresh and early. My Mini Jen was perfect for this trip for a few reasons. Firstly Mini Jen, is fabulously spacious and organised, much like her bigger sister Jennie. Both come with ample features you may be familiar with from my Matilda Mae review. 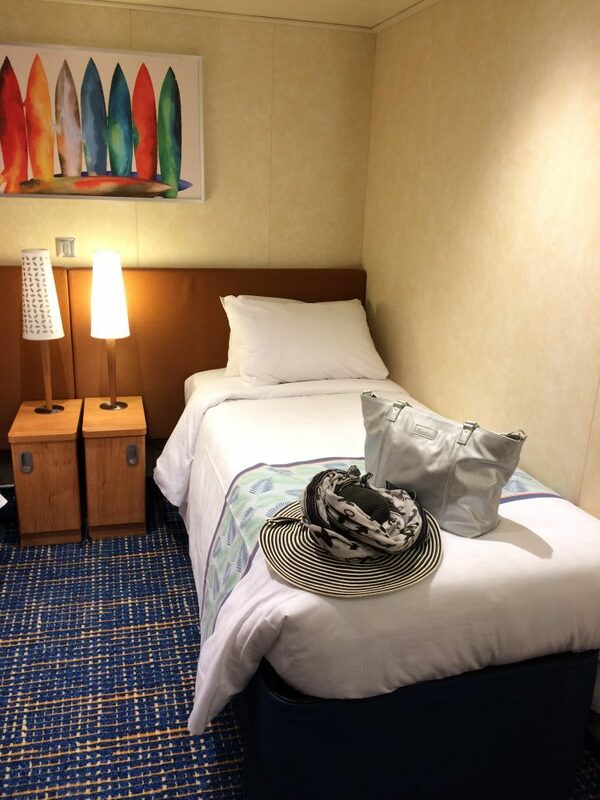 There’s a bright interior Mia Tui lining that makes finding contents so much easier. Like with Matilda Mae, both Jens have a bottle holder sleeve, though mine normally holds my prescription sunglasses. There is a stretching key strap so that you never lose your keys again and pocket for your phone with pen holders for filling in landing cards and such. 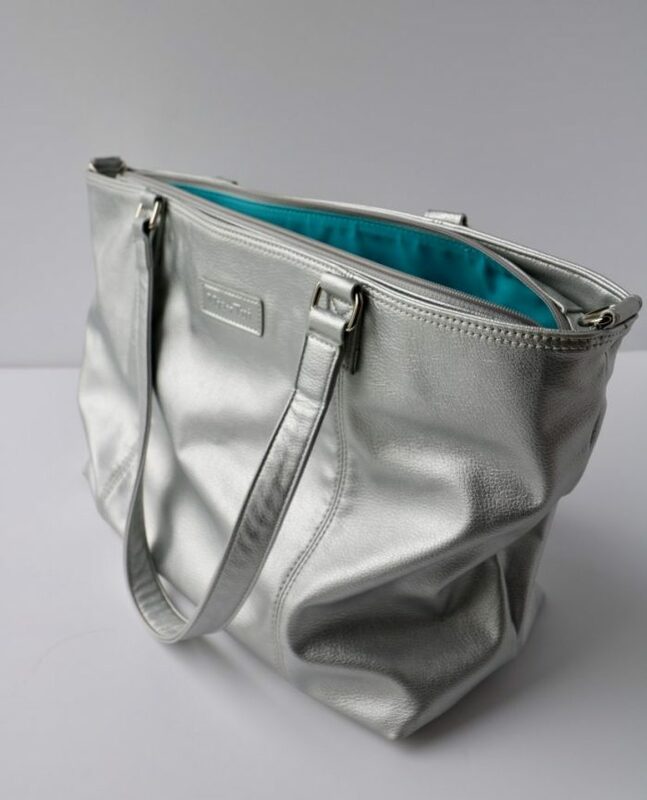 Both sizes of Jen have a large interior pocket that contains a matching wristlet that can be made a cross-body bag using the included long strap. 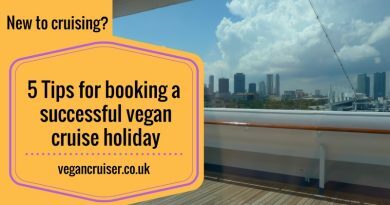 In addition to the obvious items, like my purse, phone, chargers and travel documents, I carried with me onboard a vegan meal deal as I knew BA short-haul flights have no vegan catering. But Mini Jen was spacious enough to handle my usual handbag items, travel documents and toiletries, plus my catering. Barcelona airport private hire companies are quite strict with luggage rules. Had I flown with a trolley case, or even a large backpack like my Cabinzero 44L, I would have had to class both as an extra suitcase. And pay an ‘extra suitcase fee’ on the airport to hotel transfer. Instead, I took two small pieces of cabin luggage (as allowed by BA), using the overhead bin for my camera bag and Mini Jen as my main travel bag. Mini Jen is just the perfect size, large enough to fit plenty of items for travel yet small enough to fit underneath the seat in front of you. But what makes Jen and Mini Jen ideal handbag for travel are the pockets inside that contain a matching wristlet/handbag and an accompanying toiletry bag. Your 100ml (or less) liquids go inside a smart durable MiaTui branded clear toiletry bag that has its own secure pocket inside the handbag. So efficient, neat, and way smarter than using the free airport ziplocks. When flying and travelling, I was using the matching wristlet to store my passport and tickets for easy document access. 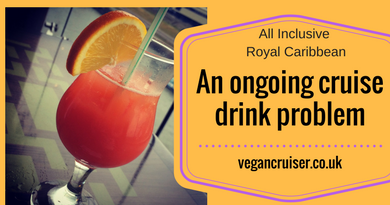 It ended up being a very useful item on the cruise itself too – I don’t think I used the small clutch-sized handbag I had packed at all. One final bag feature that will appeal to anyone with a suitcase or trolley bag that has a handle. Both Jennie and Mini Jen have a helpful hidden outside pocket that acts as a loop. You can slip your case handle through it securing your Jennie or Mini Jen to the trolley case. The pocket ensures your bag won’t fall off as you pull your case along. Mr. Sockmonkey demonstrates the gap the trolley handle fits through. When on a cruise ship, you don’t really need a large travel bag. Most you may require is a small handbag or wristlet for your phone, camera and the cabin key card. So while onboard, my MiniJen remained mostly in our cabin. The wristlet I used regularly for my phone, battery pack and the USB charging cable. It was so handy that I didn’t use the small handbag I brought with me, except on the first sail-away evening. 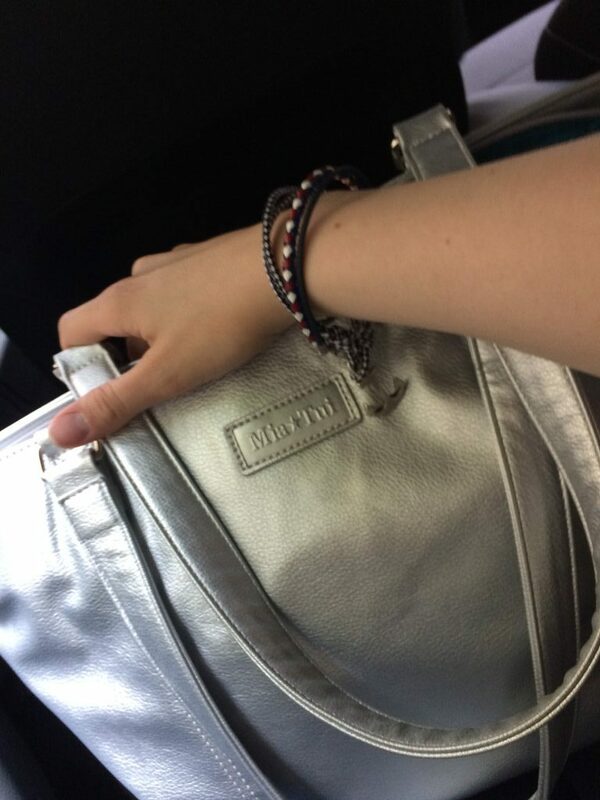 The accompanying silver wristlet was all I needed onboard for the rest of the trip. When in port, Mini Jen was put to use while exploring ports and shopping, obviously. I carried mine over my shoulder but both Mini Jen and the wristlet come with their own shoulder straps, should you wish you free your hands for photography etc. As I’ve already highlighted, the Jens are available in two different sizes: The Jennie and the Mini Jen. There is not a lot between them in depth and height, only 1cm extra on those two measurements but larger Jennie is a full 5cm longer. Weightwise there is not much difference either. Mini Jen weighs 850g and Jennie 917g. Both are available in 11 different colours to suit most tastes. Your bag also arrives in its own protective bag for storage. The travel toiletry bag and the versatile wristlet/handbag are helpful little extras, as are the two supplied shoulder straps. 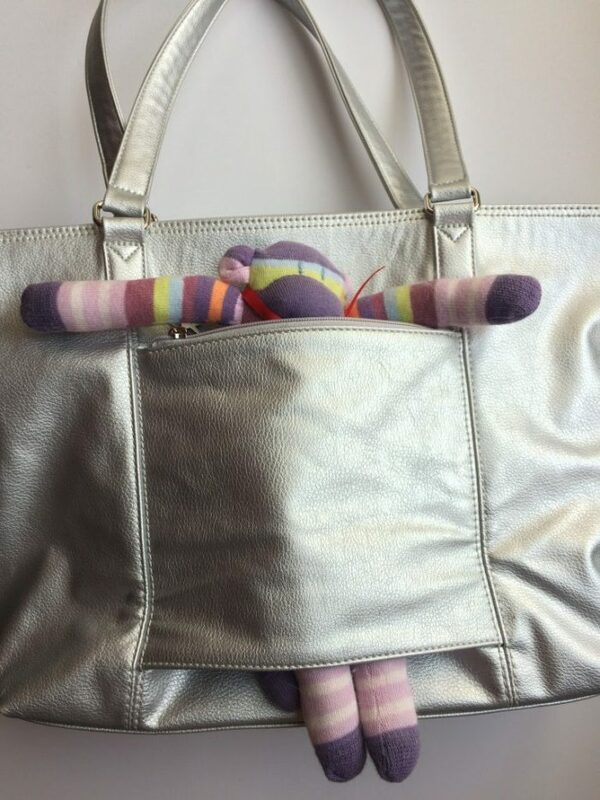 I am tempted to buy another one, perhaps the larger Jennie, as Mia Tui currently have a ‘Mother’s Day’ offer on a selection (6) handbags. With a code you will find on their site, you can have free scarf for your mum. Click on the logo to link to the bundle offer page. Also, you’ll be pleased to hear I can offer my readers a 20% off discount code. (affiliate link) This offer is for new customers, off your first MiaTui purchase (do note that the above bundles are excluded from this promotion). Should your purchase be over £30 I may earn loyalty points in return – check out their Loyalty Programme for more details. 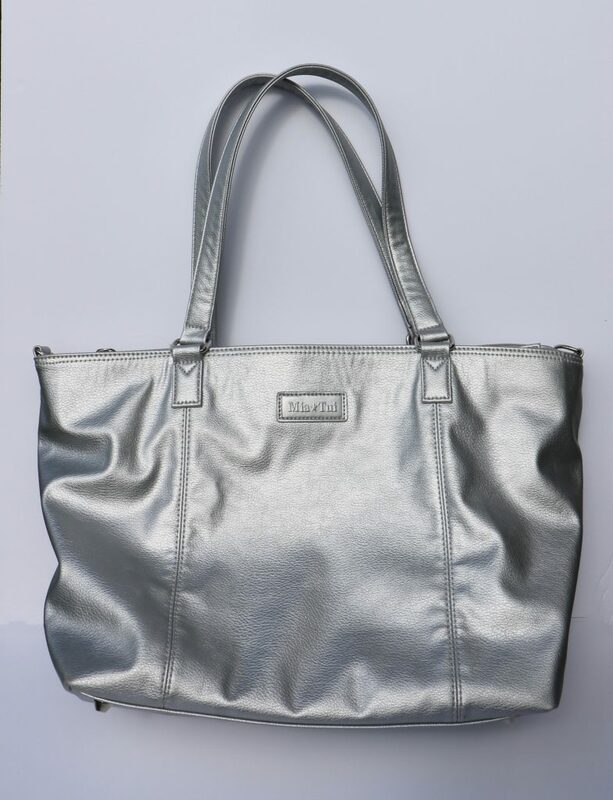 I do love my handbags and over the last five months have become a big fan of Mia Tui. So refreshing to find a vegan-friendly designer/company and have so much choice. Not just that, but their faux-leather and finishing are of great quality. No wonder Jane McDonald too is happy to travel with not just one Jennie, but with many Mia Tui bags. 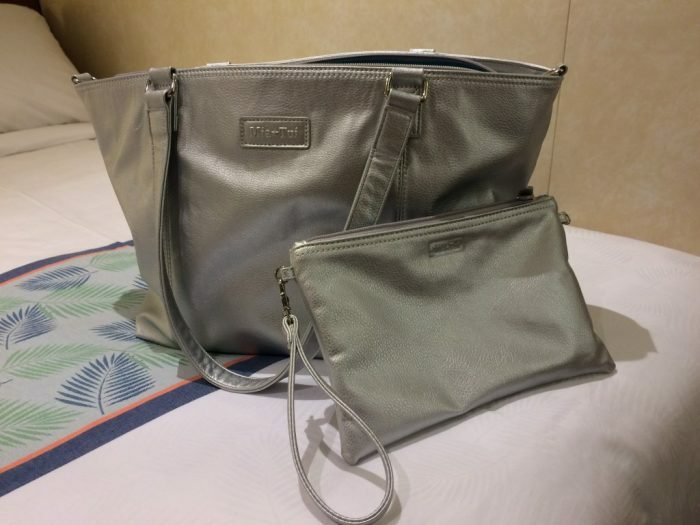 This is NOT a compensated, sponsored post, however I was gifted a Mini Jen travel handbag in silver colour which I then opted to review on my blog. All opinions regarding the product are all mine and honest. I wouldn’t feature or recommend by a product I wouldn’t use myself. That bag is huge! 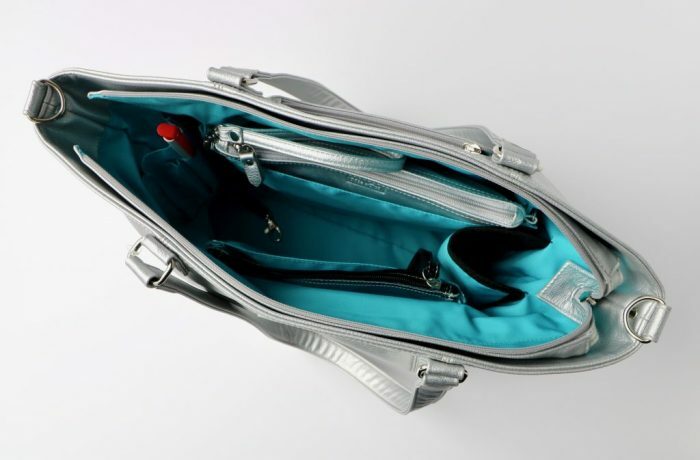 I love that there are so many compartments too – such a useful and functional bag. This couldn’t have come at a better time, I’m frantically looking for good vegan travel day bags! I’ve never heard of this brand, but I’ll be checking it out ASAP. I loove the smart interior, so many of my bags are just bottomless, unorganised pits! 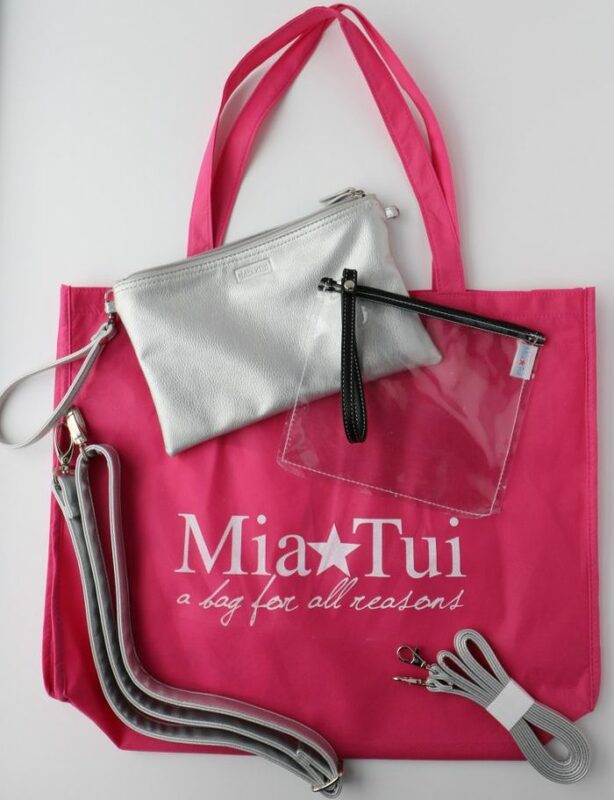 I didn’t know Mia Tui either until I saw them advertise the fact how Jane McDonald used their bags on her TV show. I really love my Matilda Mae and Mini Jen.. and want many more. I’m not a handbag girl but I adore this. It would have come in handy for my recent holiday. Definitely a brand I’m going to start following on social media.